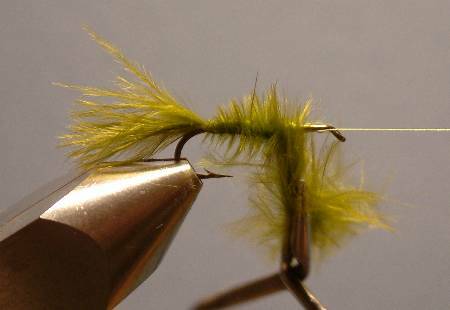 Abdomen Twisted Olive Marabou fibers. 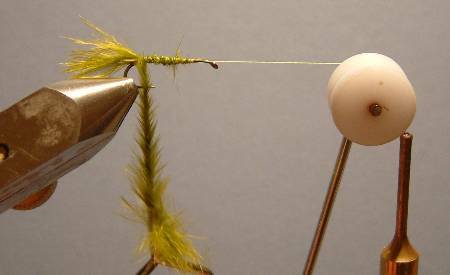 Dress the hook with thread to a point opposite the barb. 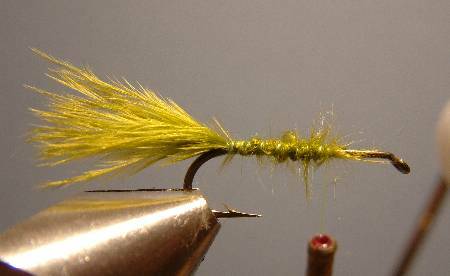 Tie in a bunch of Olive Marabou for a tail and secure the remaining fibers to the shank to form an underbody. Tie in a number of marabou fibers by their tips as shown. Twist then Wrap the fibers forward to form the body. 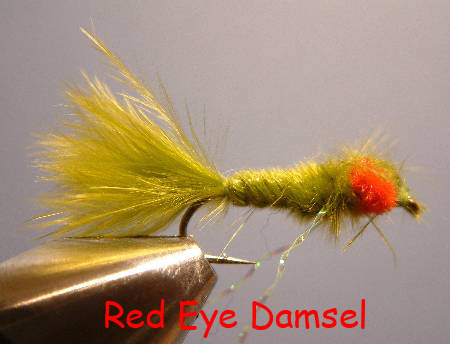 Tie in a small loop of tuft chenille ahead of the body to form the eyes. Secure and form with a few figure of 8 wraps. Two flash legs can be tied in under the eyes at this point if desired. 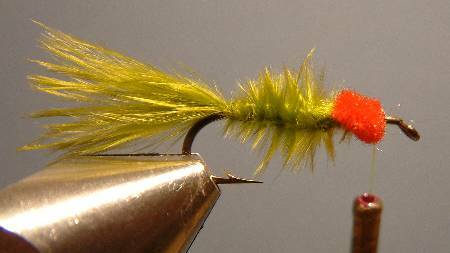 Tie in a smaller number of marabou fibers by their tips just behind the eyes. Wrap a figure of 8 around the eyes forming a buggy head. Tie off just behind the eye of the hook.